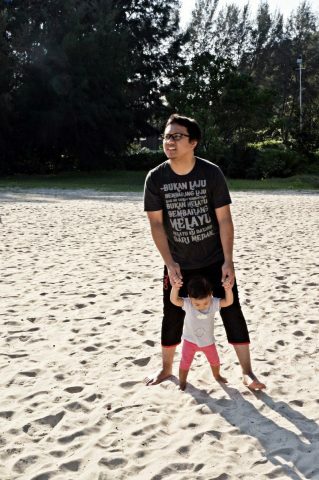 Luckily, ayah has a week off before he moves to his new job. To kick out our boredom, we decided to go somewhere near (since our passport is still in the immigration, duh!). 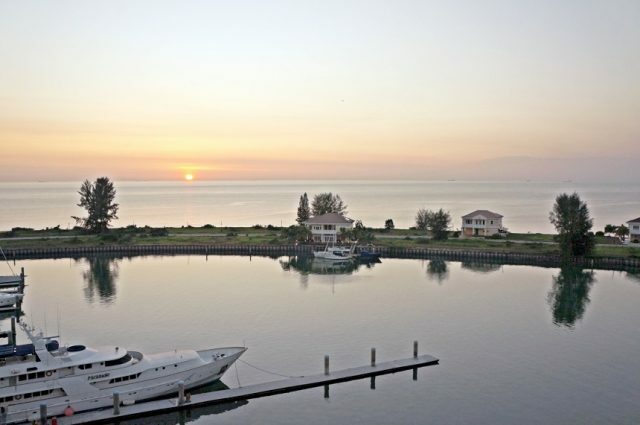 Some alternatives are Cameroon/Port Dickson/Kuantan. 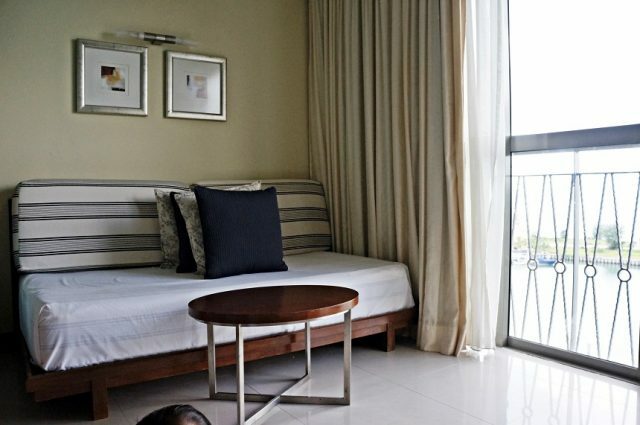 Then, we choose PD simply because we love the hotel with its private beach. 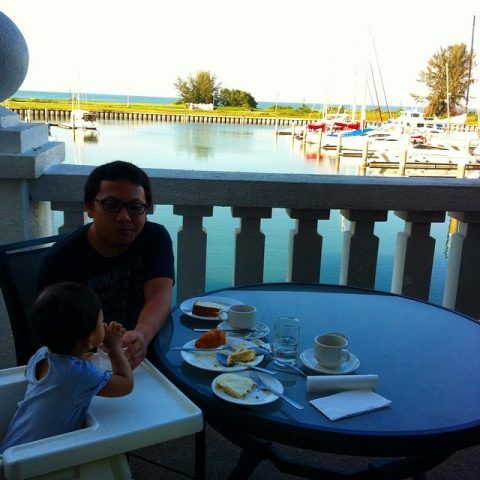 Yes, we stay at Avillion Admiral Cove at Port Dickson. There’s no rush to play in the beach if we live in it. 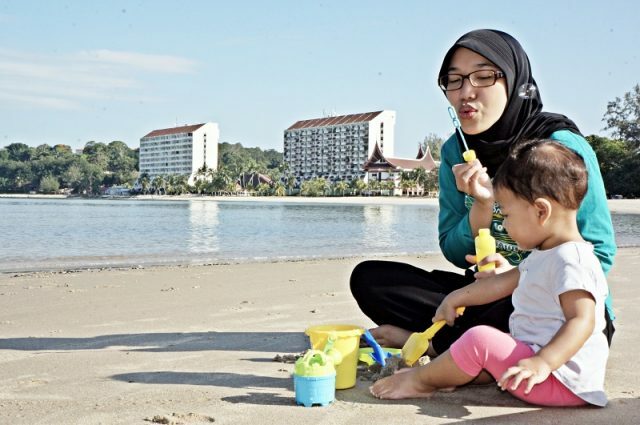 Yes, we really need this private beach to avoid crowd when Daanya play with the sand and water. Plus, after she dipped in the water, we can simply run to the room to clean her up. As simple as that.. 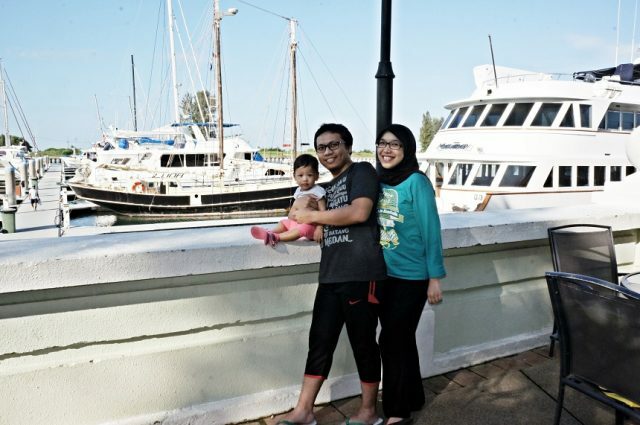 Located in Negeri Sembilan, this hotel is sitting on 100 acres of seaside tranquility and connects with world-class Admiral Marina & Leisure Club, a perfect spot for us to snap pictures with yacht as the background. What makes this hotel really worth our day is their selections of recreational activities. Cruises, sailing, water sports or simply just swing our tennis racket will fill our holiday more memorable. 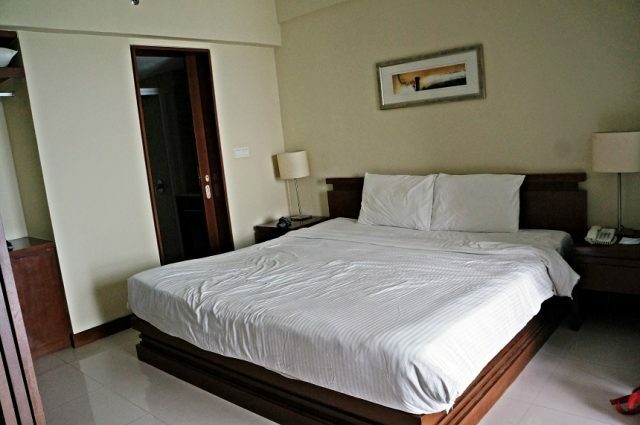 Nice room with breathtaking view, good service, fun inside activities, and private beach! Come back again? Definitely Y-E-S.